If United are to win the Coca-Cola Cup then they are going to have to do it the hard way without a home tie in sight. They also made hard work of this tie. Only four minutes had gone when United should have taken the lead. 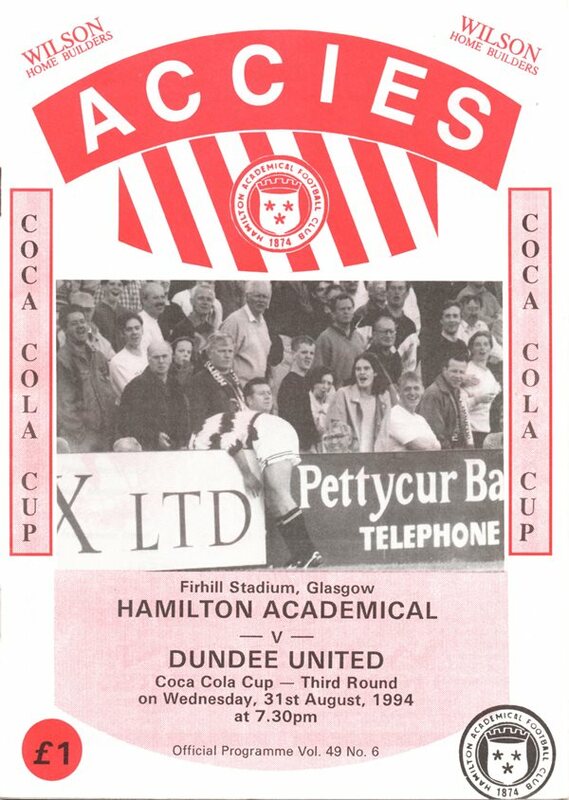 A cross from Dragutin Ristic was headed down by Craig Brewster into the path of Billy McKinlay, but Ferguson managed to paw away his shot from eight yards. However, four minutes from the break United enjoyed better luck in front of goal. Craig Brewster crossed from deep on the right wing and David Hannah's glancing header found its way in at the far corner of the net. Immediately before the interval, Dragutin Ristic had a free header when he met an Andy McLaren cross, but he headed wide of the post.United continued to dominate and only another fine save by Ferguson from Billy McKinlay prevented us putting more daylight between us and the First Division side. The Accies keeper covered himself in more glory twenty minutes from the end when he saved from Dragutin Ristic after David Hannah had played the ball into his path. 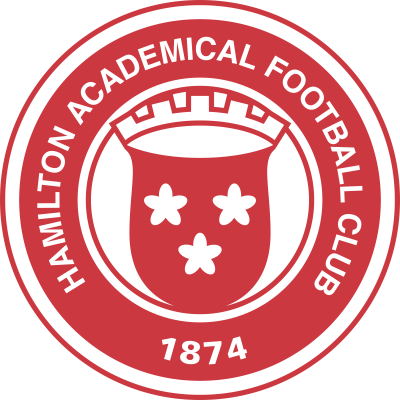 Then, incredibly, Accies with their first serious attack of the second half equalised in bewildering fashion. McEntegart forced his way to the bye line and cut the ball back and must have been astonished to see Alex Cleland spectacularly screw the ball into his own net! Thereafter. United lost their impetus and extra-time was always on the cards. Seven minutes into the first period extra-time, Dragutln Ristic and Dave Bowman carved open the Hamilton rearguard and Dave Bowman's cross fell nicely for David Hannah to sweep home his second of the night. Surely, this time United would seal it up as they remained in control and looked to be riding time out as they indulged in some neat possession play when disaster struck two minutes from the end of extra-time. Duffield took a knockdown from Martin McIntosh on his chest before squeezing the ball through Alan Main's legs from close range. Quite unnecessarily, United found themselves drawn into the lottery of penalty kicks, but this proved no problem to Billy McKintay, Andy McLaren, Chris Myers, Christian Dailly and Gordan Petric who in that order all netted in emphatic fashion from the spot, whilst McQuade blasted the home side's fourth over the bar to decide the tie in United's favour.